There’s a wild party happening in Alpine this weekend and you’re invited. The host: Three black bears. 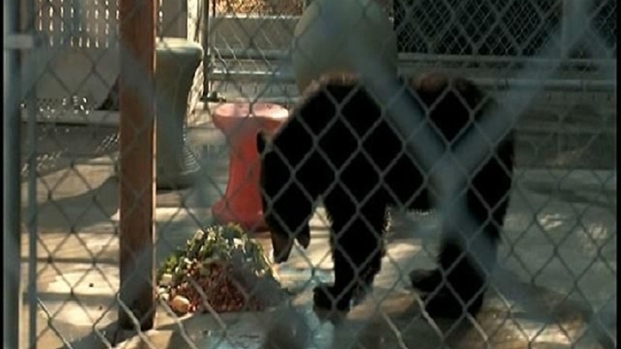 A new four acre “black bear habitat” is opening up at the Lions, Tigers and Bears sanctuary. To help celebrate, the sanctuary is holding a “Holiday in the Wild” event on Saturday. A new Black Bear Habitat is complete at Lions, Tigers and Bears, an exotic animal sanctuary in Alpine. Megan Tevrizian reports. One of those three bears is called Liberty. Born in 2009, she only weighed 40 pounds when she arrived at the sanctuary in 2010. Now she weighs 200 pounds. Liberty had to be removed from the Angeles National Forest because she learned to get food from campers. Bears are often euthanized once they become a danger to campers, according to Brink. Instead, Fish and Game took Liberty to the Lions, Tigers and Bears sanctuary where she now has a new home. She may be tweeting about the event too. Yes, Liberty has a Twitter account. “She’ll let you know what’s going on out here with all the animals, if somebody’s sick or we’re getting somebody new…. She likes to talk about her berries,” said Brink. The Holiday in the Wild event runs from 1 p.m. until 4 p.m. Click here for more details.